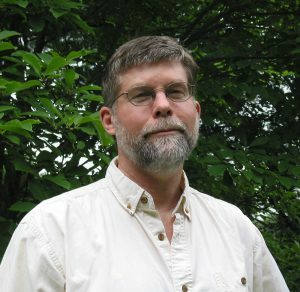 The Plymouth State University Saul O Sidore Lecture Series continues its 2018-2019 schedule on Tuesday, November 27, with, “Looking Back, Peering Ahead—From the Middle of Colliding, Imperceptible Events: Climate Change and Mass Extinction,” by Nicholas L. Rodenhouse, Ph.D., professor emeritus at Wellesley College, Wellesley, MA. Climate change will affect multiple dimensions of human life. While the impacts will be felt by all, human challenges will be faced most by the youngest generations. The 2018-2019 Sidore Lecture Series will examine questions such as: How does climate information and disinformation affect needed lifestyle changes? What is technology’s role? What are the challenges and possibilities in the realm of education? What underlying aspects of the human psyche affect how people grapple with the issue? The series will examine these issues from local, national, and global perspectives. This third lecture in the Sidore series will explore links between climate change and species extinctions. While the connection may seem obvious, climate change in the Anthropocene may not be what it seems, and the relevant changes may be imperceptible to humans. Dr. Rodenhouse will discuss how the concepts of climate and extinction shape and constrain how people relate climate change to mass extinction, and use local data to address whether climate change is driving some species along the path to extinction. “Looking Back, Peering Ahead—From the Middle of Colliding, Imperceptible Events: Climate Change and Mass Extinction,” will take place Tuesday, November 27, at 7:00 p.m. at the Silver Center for the Arts on Main Street, Plymouth, in Smith Recital Hall. Lectures are free and open to the public, but reservations are recommended. For reservations or to arrange special accommodations, call (603) 535-ARTS.